Glenn Beck is a reactionary, i.e., someone who would like to see the country returned to some previous status. Many conservatives would like to see the health care insurance reform act reversed, but reactionaries like Beck want to see virtually all of the political progress for the American people reversed and have the United States return to a condition similar to the pre-welfare state of the mid-19th Century. Beck has not hidden this agenda. To that end, Beck deceives his listeners. The following are some of the deceptions that were made Beck this week as documented by the liberal media watchdogs, Media Matters for America. (If anyone can find where the research done by Media Matters anywhere on this blog is flawed, then by all means leave a comment on the relevant post indicating where they have the facts wrong and how Beck is correct on the facts.) It has already been pointed out that Beck lies to support his agenda, so the following examples are further support for that claim. Beck works hard to undermine the legitimacy of Media Matters because if he did not, the lies that their researchers uncover from what Beck claims as fact would undermine his credibility. If fact, they do undermine Beck's credibility; so Beck "undermines" their credibility in his supporters minds by telling them that Media Matters is funded by billionaire, liberal philanthropist, George Soros. Beck undermines his authority as a judge of good and evil when he claims that Soros is "evil." Soros is "evil" to Mr. Beck because he funds liberal groups, opposed the re-election of George Bush, supports Democratic candidates and promotes reforms that would stabilize financial markets and the capitalist system as a whole. By that criteria, all wealthy liberals are "evil." Beck makes far too many intentional false claims (lies) about people and conveys blatant hypocrisy far too often to be pointing an accusatory finger about of good and evil; but that doesn't stop him. For more on Soros click here. To read about some of the lies that Beck has told about Soros click here and here. Glenn Beck falsely claimed that the New Hampshire Supreme Court prevented "parents" from home schooling their children based on a case that simply resolved a dispute between two divorced parents over the best way to educate their daughter. Beck has previously demonized public schools for "indoctrinat[ing]" children and "beg[ged]" people to home-school their children. Divorced parents who couldn't agree on how to educate their daughter have brought their fight to New Hampshire's highest court in a case that looks at whether families have a constitutional right to home-school their kids. Religious freedom groups have trumpeted the cause of Brenda Voydatch of Meredith, who home-schooled her 11-year-old daughter, Amanda, from first through fourth grade. Voydatch claims her rights were violated when a court ordered that Amanda attend public school, after the girl's father, Martin Kurowski, said his ex-wife's strict Christian teachings were socially isolating their child and they could not settle on an alternative to home-schooling. Kurowski wanted his daughter exposed to different points of view and more opportunities for social interaction than home school afforded, court documents state. Voydatch sent her daughter to public school in Meredith for certain classes, such as gym and art, but home-schooled her using education materials from Bob Jones University, a fundamental Christian college in South Carolina. The Court Decision Was "Only About Resolving A Dispute Between Two Parents"
The New Hampshire Supreme Court on Wednesday said a lower court acted appropriately in ordering an 11-year-old girl to attend public school after her father claimed his ex-wife's strict Christian teachings were socially isolating the child. Though religious freedom groups trumpeted the cause of Brenda Voydatch of Meredith as a violation of her constitutional rights, the Supreme Court disagreed, saying the case was a family court dispute between the parents that the court was well within its jurisdiction to resolve. The justices peppered both sides with questions about whether it rises to a constitutional case or is simply a family court dispute between the parents that the court was well within its jurisdiction to resolve. BECK: Now, wait a minute. Hang on a second. You're saying we don't want to get rid of all public schools? BECK: Now wait a minute, don't you think if we could make that --- I mean, maybe we should make that a priority. BECK: What is our problem, what is our problem in America right now? I know, it's the internet. There's not enough high-speed internet; there's not enough broadband. Our problem with America is we don't even know who we are anymore. The problem in America is, we don't even know the truth of who we are. Claimed, along with others in the right-wing echo chamber that Jamie Gorelick is "tied to 9-11"
Repeated false claim about a drilling permit for a "Brazilian company." Beck's slogan that "Truth has no agenda" is a smokescreen to hide both his lies and his agenda. Beck has to lie about his reactionary agenda, because in his book Broke, he understands that the public does not want to give up the social programs that offer them security against old age and the greed, power and influences of America's corporate elite that Beck so admires. It has also been pointed out before, but it's worth repeating: Glenn Beck is no populist. His manipulative propaganda is popular with other reactionaries nervous about the changes the country is going through, but Glenn Beck is clearly on the side of the same corporations that outsource American jobs and would rather pollute than protect the Earth that we all need sustained if we are to survive. That Beck lies and we (Media Matters, The Glenn Beck Report, News Hounds, miscellaneous other bloggers critical of Mr. Beck including this Review) can prove this beyond a shadow of a doubt, then why do his supporters not comprehend that Beck lies? Not only does Beck manipulate his viewers emotions and needs, but they share with him ideological hatred for Obama and opposition to any government programs beyond national security (military) and narrowly defined domestic security (police). When ideological partisans hear facts that do not comport with their beliefs, those facts actually backfire. 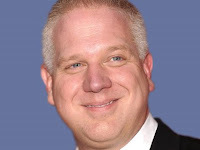 Try to explain on Glenn Beck dot come that Beck lies, and his supporters defend Beck with ad hominem attacks, lies, distortions, threats and close-minded indifference or antagonism toward the facts that expose many of Beck's claims and deceptions. That is why people who have not yet been taken in by Beck's manipulative propaganda need to be warned. Please, take some time soon to become, for 20-30 minutes, Paul(ette) Revere and help warn our fellow citizens that the liar is coming. For a summary about Glenn Beck, see "Becoming Paul Revere"
Andrew, I agree with everything you wrote except the "neo nazi" part. He may stir racial anxieties, but he really is anti-Nazi and says so on his show. I'm a harsh critic, but I am profoundly honest about what I've heard from Beck. He is an extremist, to be sure; but he's really not a Nazi. I'm far more concerned about his desire to tear down the wall of separation between church and state than I am about his racial anxieties. He seems more inclined toward theocracy than fascism.